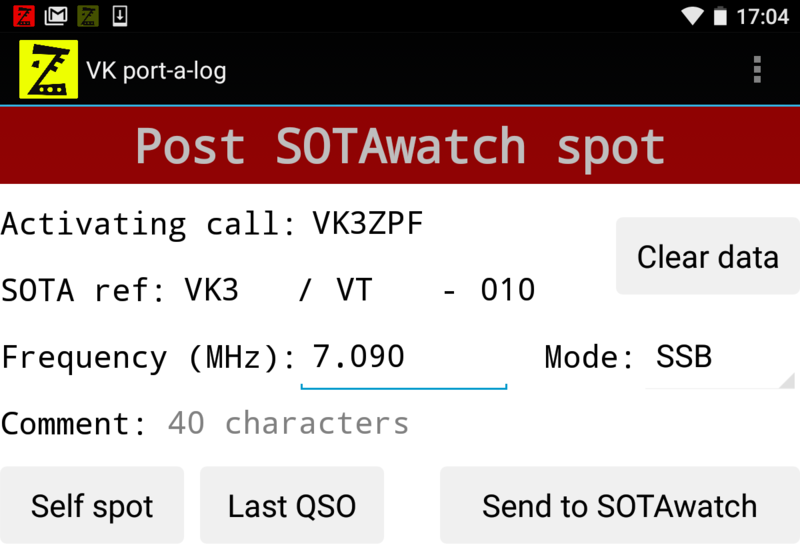 VK port-a-log is an Android logging app primarily for portable logging. It can be used for SOTA, WWFF, VK Shires or portable operation. I even use it for logging when I’m at home. 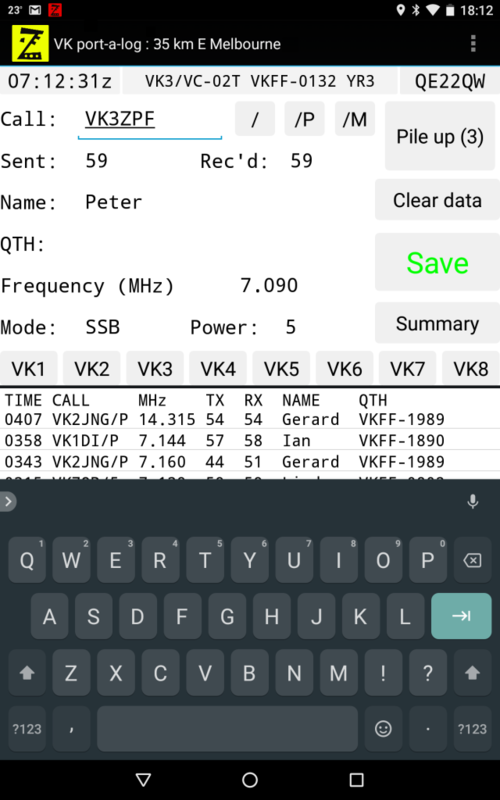 Wade, VK1MIC, has released a video showing VK port-a-log in action at home. Wade’s video can be viewed on YouTube here. 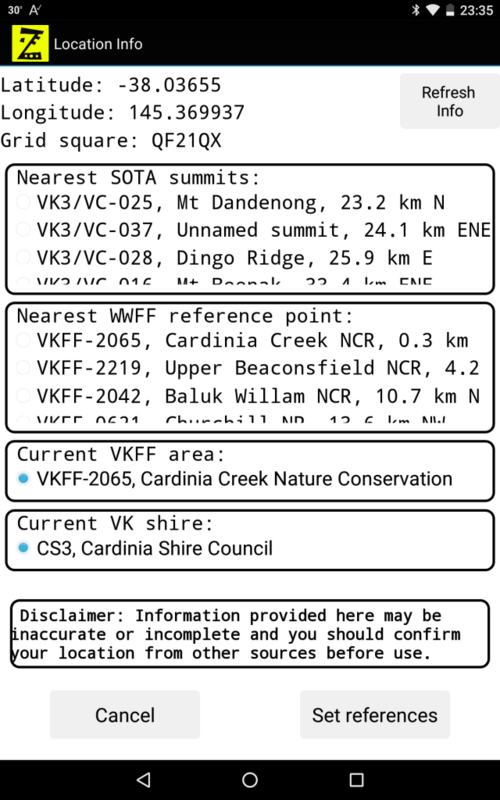 Uses the inbuilt GPS, where fitted, to determine the Maidenhead locator, closest five SOTA summits, closest five VKFF or ZLFF areas, current VKFF area and current VK shire. 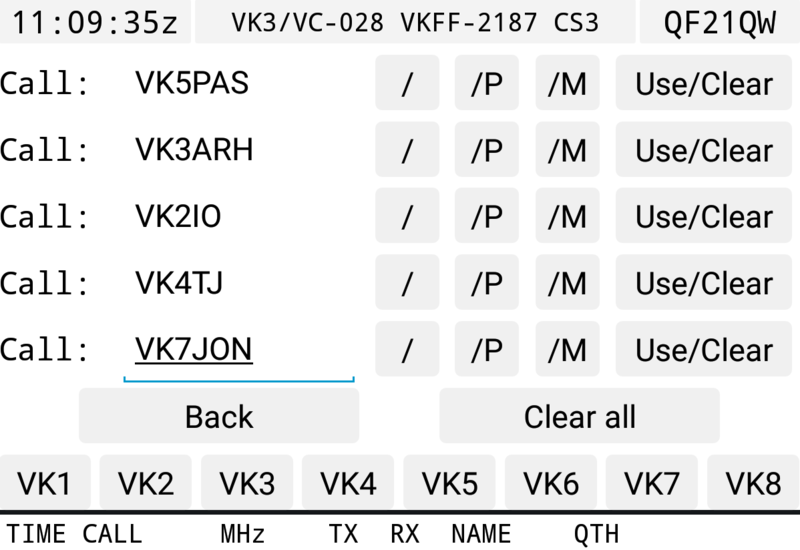 The app is available from the files section of the vk3zpf_logger Yahoo group. 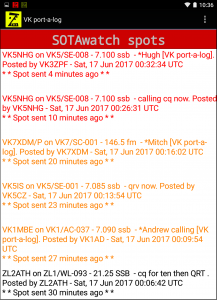 Where can downloaded the VK Port a Log App ? There is nothing in the Google Playstore. 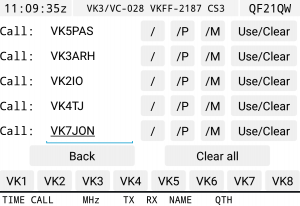 Hi, I have just seen this in operation at the VK1 event today (7 aug). Most impressive. Any chance of getting it to work on an iPad? Or do I have to buy an android device? Thanks for your comments. 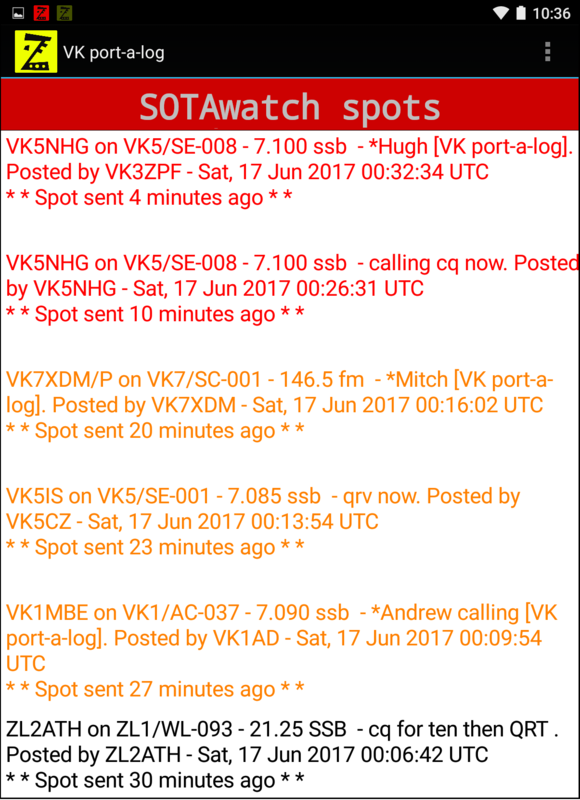 VK port-a-log is only available for Android.